It's been a long time since I've made a card for the Runway Inspired Challenge. But with a little free time and a beautiful photo to get my mojo working, I decided to play along. Isn't this dress so pretty...I was totally inspired by the gliding birds against the dark blue background. I did tone-on-tone stamping with Hero Arts Flourish Background and made some stencils of flying birds on my Silhouette and used them to add embossing paste on top of the flourishes. While the embossing paste was still wet I sprinkled on Martha Stewart Crystal Fine Glitter for a subtle sparkle. I stamped the sentiment on vellum, added a strip of silver glitter paper, some May Arts Silk Ribbon and a pretty button to finish off the card. I was thinking this would be a great card for a wedding. 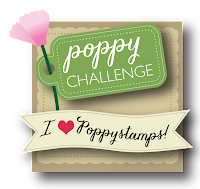 There's still plenty of time to play along with the challenge, you'll find all the deets here. I'm also entering this in Simon Says Anything Goes Challenge. Thanks for visiting today and have a great weekend! Oh, this is so pretty, Sue! Love the silver accent and the crisp white ribbon and that pretty charm - great additions! This is beautiful! 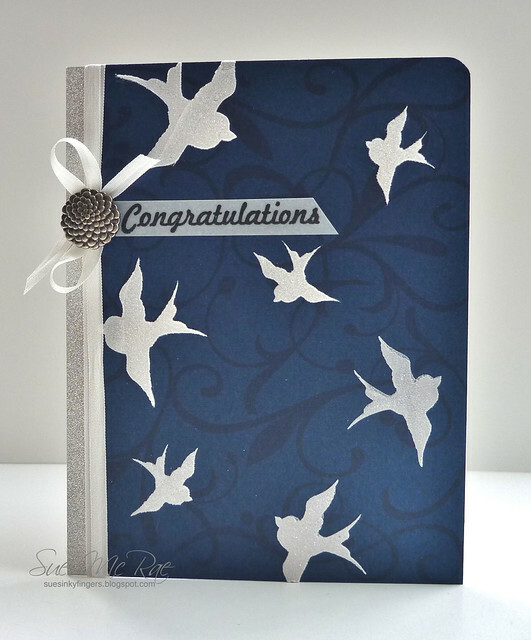 Love the tone on tone stamping and the birds are gorgeous! So elegant! Gorgeous card, Sue! I love the tone on tone background, and your birds are just beautiful! 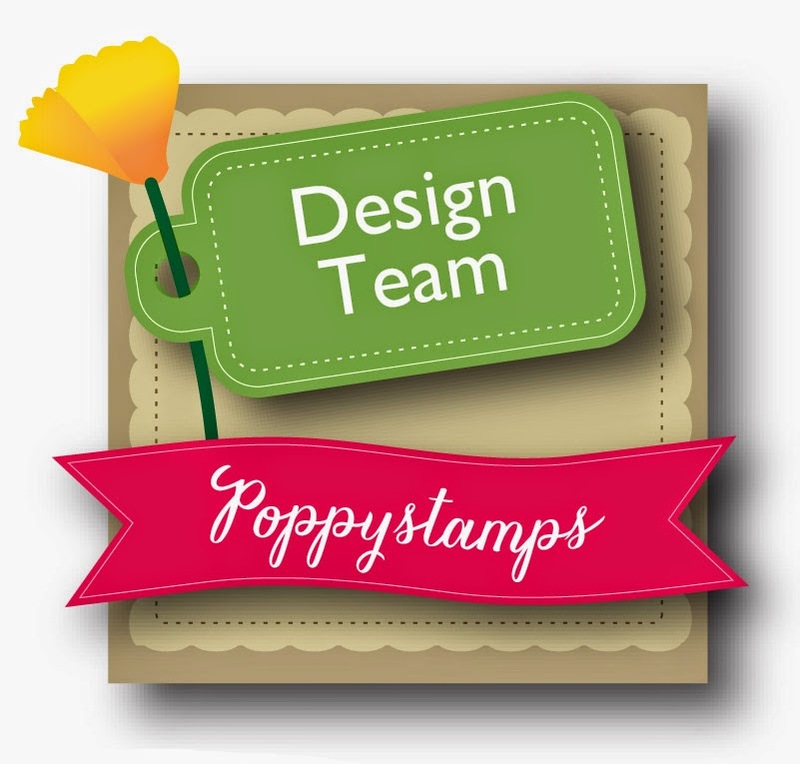 I love all the sparkle you added to the embossing paste, too...lovely effect! Wow! This is a perfect interpretation of the photo, Sue! 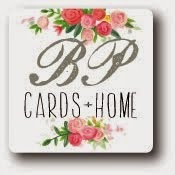 Gorgeous card! Boy, did you nail this one. It's gorgeous. 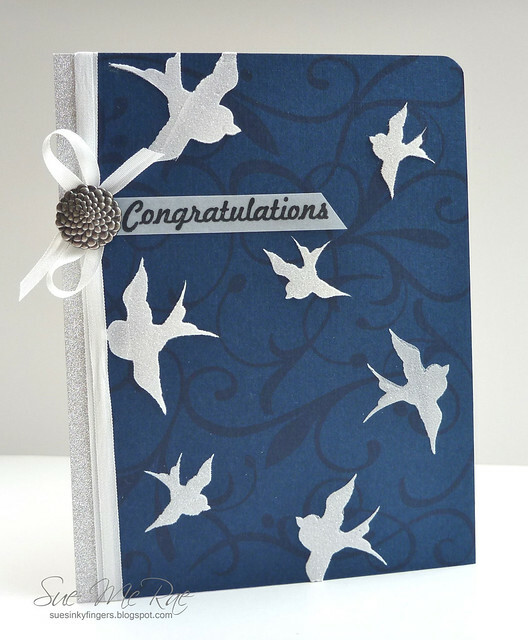 The tone on tone stamping adds so much movement for those lovely birds. Sue, this is stunning!! I clearly see where you took your inspiration and am in awe of how you translated it! Beautifully executed! 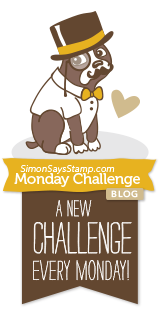 Thanks so much for playing with us at the Runway Inspired Challenge - we're so glad you did!